Vic was just 17 when he became a professional wrestler having been trained by his father and brother who were already established stars. Vic was soon travelling up and down the UK and quickly became a fan favourite with his skilful wrestling and acrobatic style which was something that had not been seen by many fans at the time. On the 28th April 1962 Vic was to be given his first taste of national stardom when, in a televised bout from Colne, he wrestled Alan Colbeck. This was to be Vics first of many televised appearances which would last right up until the mid 1980s. 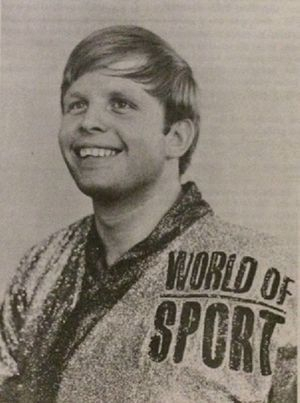 Vic also won the World of Sport Wrestler of the Year and you can see him with the dressing gown that he was awarded for winning this at the top of this page. Vic was now one of the biggest up and coming stars in the UK and he found himself opposing many of the biggest names of the day including Johnny Saint, Jim Breaks, Alan Dennison, Mick McManus, Bobby Barnes and Alan Colbeck to name but a few. Vic found himself in great demand and always gave a very entertaining bout. One of Vics favourite manoeuvres was to lay on the canvas until the count of nine with his opponents thinking that they had secured the win but knockout only for Vic to jump up at the last minute much to the surprise of his opponent and proceed to gain a fall over them. Although Vic was very popular in his native UK he had also come to the attention of the foreign promoters and Vic soon found himself travelling the world including Africa, Italy, East African countries including Kenya and France including a lot of bouts in Paris and also raising money for charity. Although Vic never secured any championships whilst on his tour his unique style of wrestling made him a firm fan favourite. On the 28th November 1966 in a bout held in Nottingham Vic was to have his first taste of championship glory when he opposed Jose Rodriguez Questra for the European Middleweight title, Vic was successful in defeating Questra and held the title until June 1968 when he was defeated by Mick McManus. However, on the 23rd September 1968 Vic was to regain the title from McManus and held it until the 26th April 1971 when he again lost it back to McManus. This was to be the last time that Vic was to hold this particular title however, on the 20th July 1971, Vic was to oppose Adrian Street in a bout held in Croydon for the British Welterweight title where he was successful and was crowned the new champion. Vic held this title until the 31st May 1976 when he was defeated in Bradford by Jim Breaks. Vic and Breaks would trade the belt back and forth over the next year with Vic losing it for the final time on the 30th November 1977. As well as being a successful singles wrestler, Vic is just as well, if not more, known as a tag team wrestler with his older brother Bert. Vic and Bert often fought together as the Faulkner Brothers or the Royal Brothers and were a famous - and undefeated - wrestling Tag Team in the 1960s and 1970s. They wrestled at halls all over the UK including the Albert Hall, The pair had major success as TV stars in the 1960s and 1970s as many families dedicated Saturday afternoons to watching wrestling on television and had some titanic battles with the McManus/Logan team and the Saints amongst others. Vic and Berts fame was at a height and they were often seen rubbing shoulders with the top celebrities of the day including The Beatles, Adam Faith and Eurovision Contest winner Sandie Shaw. When Bert Royal announced his retirement from the ring Vic returned to singles contests and was a regular on our television screens until the late 1980s. 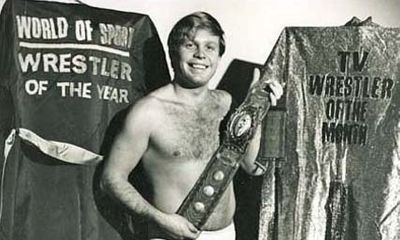 Whilst Vics popularity remained he never achieved the triumphs that he had earlier on in his career although Vic did not need titles to be a main event star and was one of the most recognisable faces in the wrestling business. With Vics wrestling career winding down in the mid 1980s Vics attention turned to life after wrestling and like many ex wrestlers entered the licencing trade. Vic worked as an Area Manager for one of the countries leading brewers and just like his wrestling career made a great success of this winning the Area Manager Award on three separate occasions. In retirement Vic continued to live in his beloved Bolton with his family. Vic Faulkner was fondly thought of by not only his fellow professionals but by his legion of fans. Vic Faulkner passed away suddenly on Thursday 6th July 2017. Vic was one of the greatest legends ever to lace up a pair of boots and step through the ropes, he entertained generations of fans and his passing is a great loss to the wrestling industry. Vic has left a legacy that will never be forgotten and neither will he, a great man and may he now RIP.